Moong Dal Ladoo or Mung Daal Ladu is a wonderful classic Indian sweet, a treat for the eyes as much as it is to the taste buds. 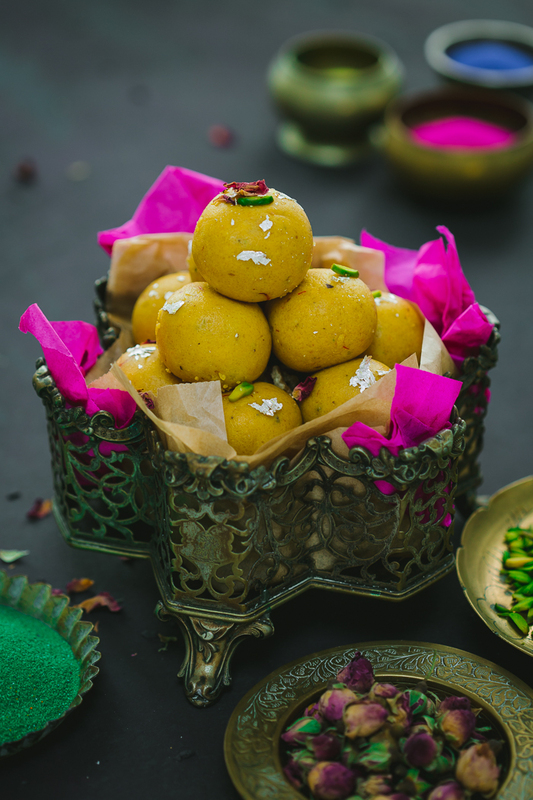 A mouthwatering moong or mung dal ladoo made from yellow split lentil flour in pure desi ghee and garnished with pistachio slivers and edible rose petals. These are simply moreish and must for all Indian festivities and celebrations such as Holi, Diwali, Raksha Bandhan or Ganesh Chaturthi!! Moong dal ladoo, is one of the very popular sweets in the collection of Indian Mithai. Although these laddos are easily found in India, but not much popular in the state of Gujarat, in fact, I have never seen in any Gujarati sweet shops, also I have not seen this particular variety of ladoos here in the UK, so I always make it at home. WHAT IS LADOO OR LADU? Basically, the meaning of ladoo is small ball or truffle. Ladoo or Ladu is a staple sweet dish of India and rules the roost when it comes to India's preferences for sweets. There are numerous variations of Laddos available in every region of India, but two things will be common you'll find that they all are round, sweet and delightful. When you see a person holding a box of ladoo, that means he/she about to give you a piece of good news. Across India, the ladoo is invariably an integral part of the happy occasions. Between families, boxes of ladoos get exchanged as soon as an engagement is announced, one or two various types of ladoos are always on the menu of the wedding. Exchanging ladoo boxes is not only for engagements and weddings, but distributing ladoos also to express your happiness too, birth of a baby boy, buying a house or car, promotion at work you name any happy occasion ladoo immediately comes to your mind. Mostly all ladoos are rich, loaded with calories and irresistible. Indian ladoos are prepared with various flours, sugar, jaggery and ghee, sometimes laddos are only prepared with dry fruits and nuts or seeds. A sweet and nutty ladoo that crumbles effortlessly in your mouth! When you think of the crumbliest and flakiest yet melt in your mouth sweet in the world, you'll be somewhere close to the delicious and taste of Moong Dal Ladoo. 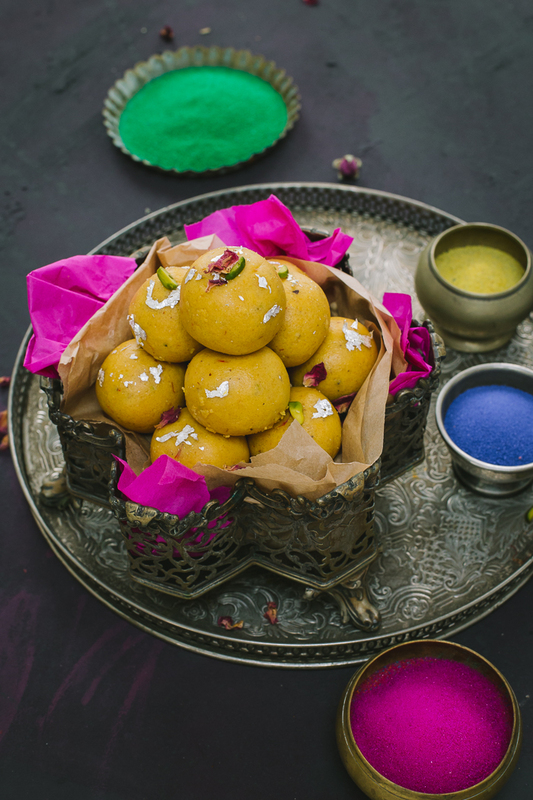 The crumbly texture is the result of using yellow split flour, blended with the just right amount of sugar, ghee, nuts and flavoured with cardamom powder, saffron and adorned with pistachio slivers and rose petals. HOW TO MAKE MOONG DAL LADOO FROM SCRATCH? Moong dal ladoo can be prepared with already roasted yellow split lentils or raw lentils. In my part of the world I don't get roasted lentils, so here I have a recipe with raw lentils. First, clean the lentils and wash in cold running water for a couple of times. Soak lentils with clean water in a bowl for 2-3 hours. Discard all the water, pat dry with clean kitchen tissue paper and let it dry on a clean kitchen towel on a flat surface for at least an hour. The lentils should be not completely dry but should not be wet either. Now on a low to medium heat dry roast the lentils, but do not let it burn. Roast until you see a little colour change or a lovely aroma of roasting starts. Transfer the roasted lentils immediately in another plate and let it cool completely. Meanwhile, dry roast the nuts in a pan, and leave it aside. Once dal is completely cool, grind into a fine powder in a grinder. If you are using normal sugar, then grind sugar into a fine powder too, then the nuts as well. Now sift the lentil flour and sugar through the sieve and discard the big bits if any. Place flour, sugar and nuts powder, saffron threads and cardamom powder in a wide plate and mix it. Melt ghee, ( do not heat) and pour on the flour mixture. Do not add all the ghee at once, add little by little. Keep mixing it with the spoon or spatula. Combine everything well with your hands now and see that ladoo mixture has enough binding to roll the ladoo. Divide the mixture into equal lemon size portions then roll into ladoos between your palms or you can use ladoo moulds. To make this ladoo try to use fresh lentils as possible to avoid any rancid taste. Thoroughly clean the lentils before you soak. Soak the lentils in lukewarm water rather than too cold or too hot water. To get the best results let the lentils soak for a good amount of time, if really pressed for time then 30-40 minutes would be good enough too. Do not dry lentils in M/W or under the sun. Place drained lentils on a clean kitchen towel in one layer and pat dry the lentils. Do not roast lentils till dark brown or it will taste bitter and you won't be able roll the ladoo properly. Do not add all the melted ghee at once, add little by little till you are able to form a ladoo. HOW TO STORE MOONG DAL LADOO? Once you have prepared the ladoos, make sure they are completely cooled down before you store them. Take a butter or greaseproof paper, lay it in an airtight container then store the ladoos in one layer, try not to stack as it might squash together. keep it at room temperature if for some reason if you do keep it in the Refridgerator which (I don't recommend) then before consuming bring it to room temperature. These ladoos will stay fresh for one week at room temperature. 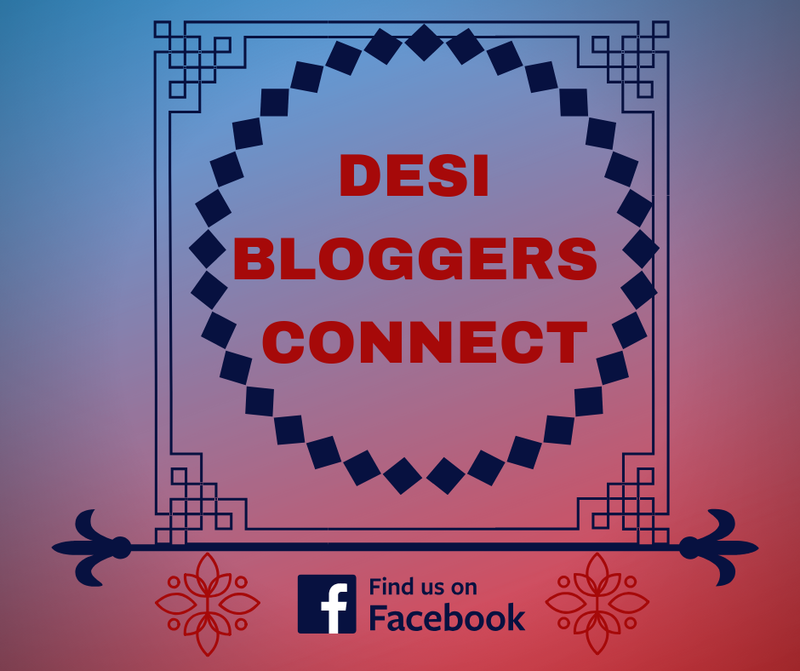 HOW TO SERVE MOONG DAL LADOO? Although you can have these scrumptious ladoos at any time of the day, you are more than welcome to consume with or after having spicy Indian meal or at tea time with savoury snacks. CAN I MAKE VEGAN MOONG DAL LADOO? Of course, you can! simply replace ghee with the vegetable ghee or use melted coconut oil. Being a moong dal gluten-free these ladoos are suitable for people who are following a gluten-free diet too. This classic Moong Dal ladoo is perfect to celebrate Indian festivals like Holi, Diwali or Raksha Bandhan or for any happy occasion any time of the year. They are easy, gluten-free and made with only a few ingredients. Clean, wash and soak lentils (dal) in lukewarm water for 2-3 hours. Drain the water from the lentils, pat dry with kitchen tissue paper then lay flat on the kitchen towel for about an hour or more. Dry roast the lentils on low heat until the lentils change its colour slightly pink but not let it go dark brown. Let the lentils cool completely in another plate. Meanwhile, dry roast the nuts in the same pan, and let it cool. Once lentils cooled completely, grind into fine powder in a coffee grinder. Then grind sugar and nuts and leave aside. Sieve the flour and sugar and discard the big pieces of lentils if any left. Place both in a big plate, add powdered nuts, cardamom powder and saffron if using. Now melt the ghee, and add little by little into the flour mixture. Combine everything and make laddoos by rolling a small portion of the lentil mixture. Let the ladoos completely cool. You can use caster sugar or boora for this recipe. If you pressed for time, dry roast the dal instead of soaking then grind into fine powder. Omit nuts totally if you are not fond of it. 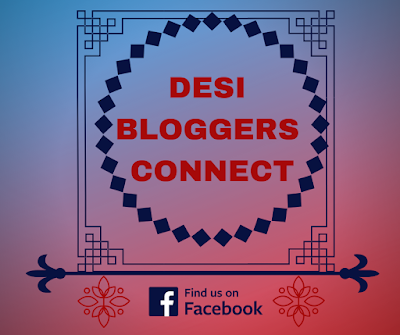 This post is part of #holikerang DESI BLOGGERS CONNECT facebook group. 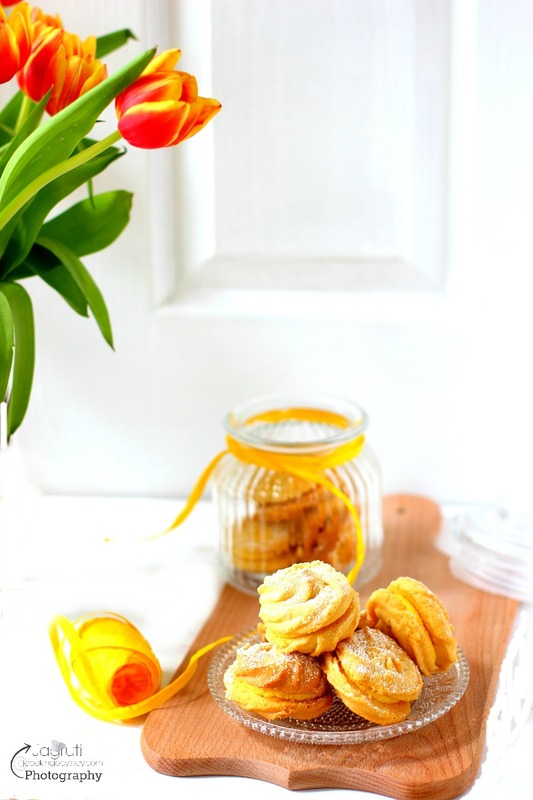 We have more delicious HOLI recipes by other members below. such pretty little treats! I have never seen Moong Dal Ladoo before so loved reading this. Thank you Melanie. Glad you liked reading this post. Thanks Ruchi, Yes, you are right these ladoos are perfect for any happy occasion. You're so right Jagruti, we hardly ever see smooth laddoos made from lentils in any Gujarati sweet shop. Even in Kenya we hardly ever get them. I've tried them as prasad in India. With so many bloggers making these laddoos, I'm tempted to try out the recipe. 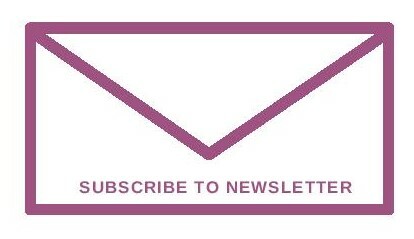 Love your clicks and the beautiful bowl. Thank you Mayuri, yes Gujarati community is not familiar with this recipe, mostly I have seen in Rajastan and north India. These laddoos look so tempting. I used to make them quite often when my kiddos were very young. Such lovely ladoos for the season, my mother used to make for my grandpa, you bought back memories here. The ladoos look super delicious! You have made these so perfectly... Just loving the smooth texture of the ladoos. Who can resist these beautiful ladoos and any festive season in India is incomplete without ladoos.. I can gobble a few. Beautiful picturepictures and a wonderful write-up. Isn't it awesome that we get to try these delicious sweets for festivals. Wow!! Love the presentation of these decadent ladoos! I have not tried moong dal ones yet! I must follow yours and make these soon! That is one delicious looking ladoos jagruti! 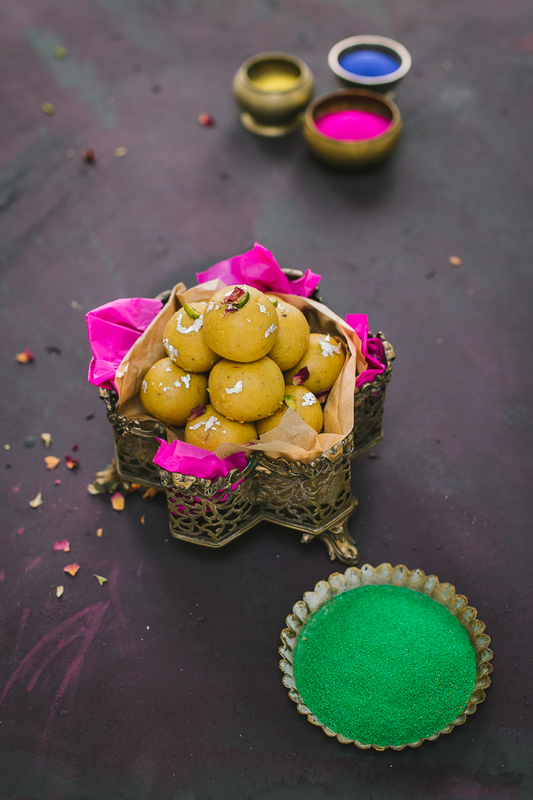 We are big fan of ladoos, they are such a versatile dessert to make! Perfect treats for holi! Lovely clicks with the colors! 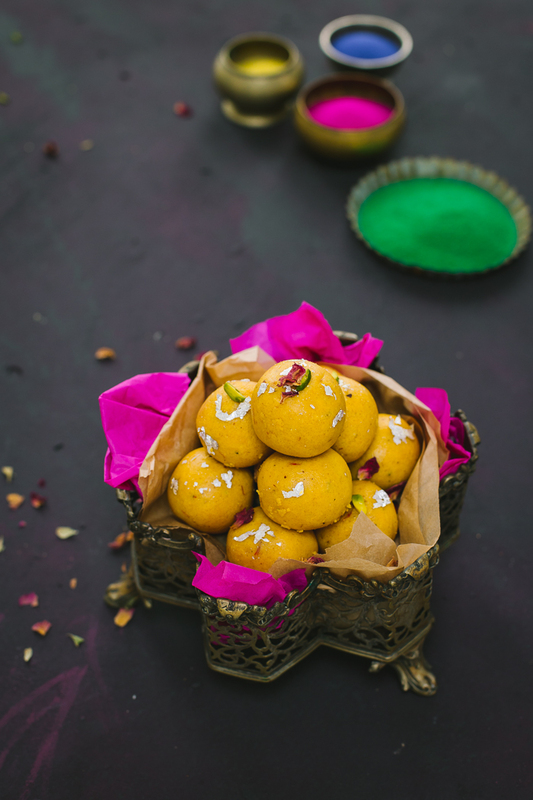 Wow, moong dal ladoos looks so irresistible and feel like grabbing the whole bowl.Perfect treat for Holi. I love all your colors in the photos! Such eye popping visuals. I've never tried these treats before but they look and sounds wonderful. They seem simple enough to make with my daughter - we will definitely have to try!